If you’re in the market for your next vehicle, you’ve definitely come to the right place. Our team here at Certified Autoplex specializes in used vehicles, so we’re sure there’s something for everyone’s budget. Although we carry a large variety of brands, we focus mostly on used luxury vehicles. 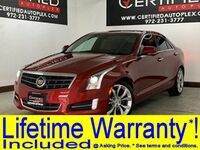 One popular choice is Cadillac, which is a part of General Motors. 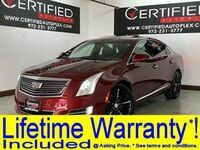 With everything from sedans, coupes, crossovers and SUVS, Cadillac has a wide arrangement of vehicles to offer regardless of personal needs or preferences. 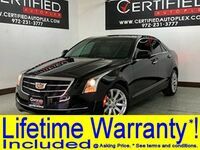 Cadillac makes for about ten percent of our inventory here at Certified Autoplex in Carrollton, TX. Although our inventory is constantly changing, there are few models that are sure to always be an option. First of all, the iconic Cadillac Escalade is available for drivers in need of extra space for passengers and cargo. 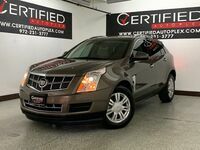 The Cadillac SRX is also popular for those who don’t need quite as much space. Those in need of something powerful are sure to be impressed with the Cadillac Escalade. This SUV is equipped with a huge, well-built 6.2-liter V-8 engine and paired with an automatic transmission, which makes for a smooth driving experience. All-wheel drive is standard on the model we have here on our lot as well for the ultimate traction and control. 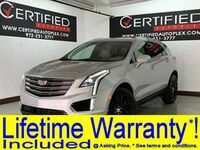 Some stand out features for this luxurious SUV include a rear seat DVD entertainment system as well as heated seats, a Bose Premium sound system and a navigation system. 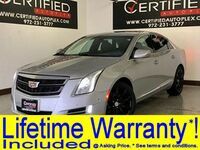 Most of the Cadillac models on our lineup come with a lifetime warranty to give you a peace of mind long after you make the purchase and drive off our lot. Buying a used luxury vehicle is a cost-conscious decision, but it doesn’t mean you have to sacrifice quality. 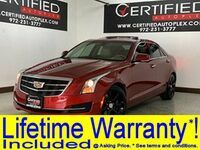 Those interested in learning more about the used Cadillac models available here at Certified Autoplex are encouraged to contact our team for more information. Drivers in the Carrollton, TX area looking to get behind the wheel can do so by scheduling a test drive online.